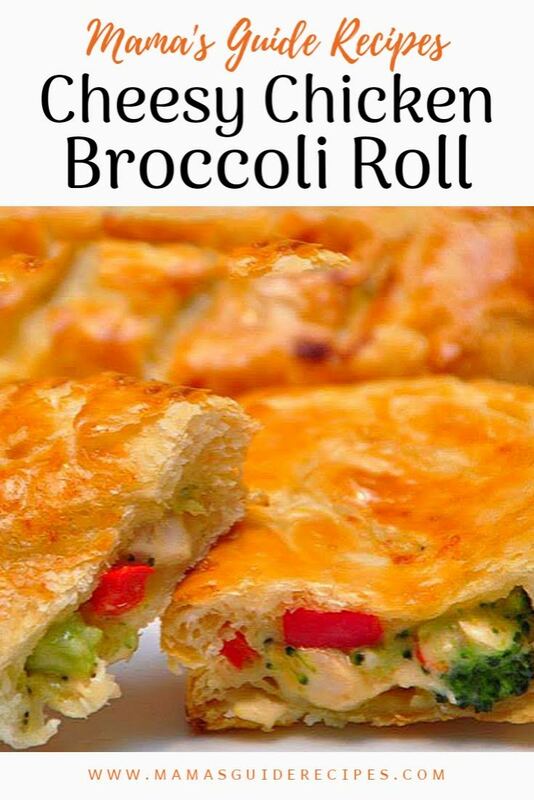 These Cheesy Chicken Broccoli Rolls are definitely cheesy and healthy. Easy roll ups you can prepare for snack or lunch pack for kids. Quick and easy recipe for any busy moms out there. For the Puff Pastry, its easy to find it here in the Philippines, specially if your in Metro Manila. You can buy it in freezer section beside the frozen pizza dough at SM groceries, Shopwise, Rustans and Santis Delicatessen (Makati, Bgc, Muntinlupa, San Juan, Forbes, Rockwell, Corinthian Hills) . The key is asking the staff of these groceries. Cooking Notes: For the half-and-half, combine half cup of whole milk (high fat milk) and half cup of single cream or nestle cream. In a large bowl, half cook broccoli by blanching it in boiling water for 1 minute. Drain and set aside. Melt the butter in a small saucepan over medium heat. Add in the flour to the butter. Stir it well and cook the flour and continue stirring for about 1 minute. Gradually whisk in the half and half. Continue stirring until thick and bubbly. Adjust the heat to low and whisk in the cheese. Once the cheese is melted in, stir in the mustard and thyme. Season with salt and pepper. Add the broccoli, chicken and pepper into the sauce and toss it. Using a rolling pin, roll the puff pastry dough out to make it into a little bigger rectangle. Cut into 6 rectangles. Brush a little beaten egg around the edges of each rectangle.Put 1 1/2 tbs of the chicken mixture and press the edges to seal (I used fork) Place into the baking sheet (i used the cookie sheet) lined with parchment paper. Brush each turnover with beaten egg. Use a sharp knife to poke 3 slits in the top of each. Bake for 15 minutes. Turn the heat down to 350 F and bake another 10-15 mins until golden brown. Let cool a few minutes before serving as the filling will be really hot! Serve and enjoy!